Welcome to the Pipe Rack! If you wish to order your pipe tobacco from our site please call our store directly at 330-745-9022 and order that way. We do not plan to set up an online store at this time. We apologize for the inconvenience. To see a list of our house tobaccos click on our products page and go to the tobacco section. You will see an up to date price list and a full listing of what we sell there. If you are in the area please stop in for a cigar in our smoking lounge. We look forward to seeing you there. We have WiFi for our customers, as well as craft sodas from Norka, water, and coffee. We carry over 700 different hand rolled cigars from the biggest names in the industry. These include but are not limited to Arturo Fuente Opus X, Liga Privada, Padron, Perdomo, Oliva, Macanudo, Partagas, Joyo de Nicaragua, Acid, Camacho, Ashton, and more. We also have one of the largest pipe collections in Northeast Ohio. Fine pipe makers, Karl Erik, Peterson, Ferndown, Stefano Santambrogio, La Rocca, Savinelli, Design Berlin, and many more. There is a fine collection of pouches, stands, and accessories. We can’t forget the best tackle and live bait in Akron. Our products include Pflueger (Though not made in Akron anymore it is the finest best priced fishing equipment you can find. ), Mitchell, Abu Garcia, Zebco, Daiwa, Okuma, Berkley, Havok, Lunkerhunt and many more. Our live bait is the best you can find. The Pipe Rack has been in business since September 28, 1968. 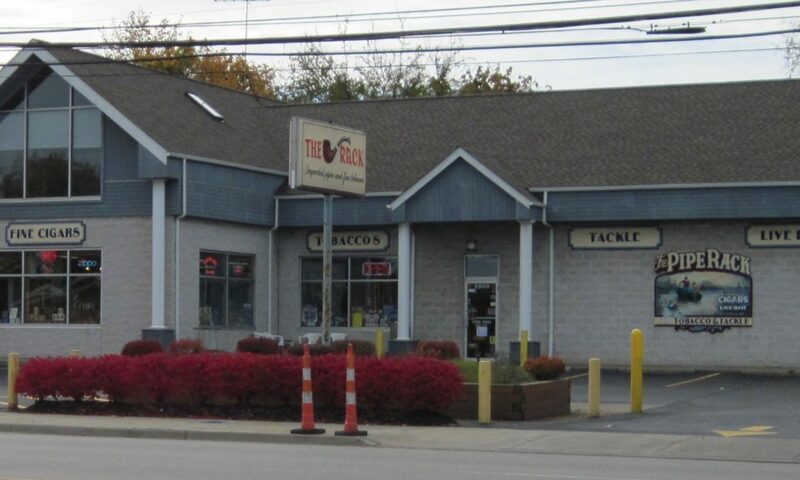 We started in Highland Square exclusively as a tobacconist and moved to our current location at 2200 Manchester Rd. during the Memorial Day weekend of 1989. 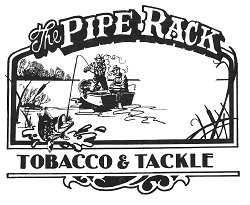 We are now the spot for pipes, cigars, fishing tackle and live bait in Akron. Come check us out and see why people keep coming back. Our staff is friendly and knowledgeable and we provide a relaxed shopping environment. No high pressure just answers and assistance. Oh Dearie, The Erie Dearies are in! and you know they are going to go fast so come and get em! They’re back; New and Improved! Our Spinner baits are back and better than ever! If you have any questions about products we handle or that you don’t see here please call and ask our experienced staff.